The CEOs of three big Oklahoma-based oil companies have declared publicly they might curtail their drilling activity in the state by as much as half if the state doesn’t act by the end of the month to extend an expiring tax break for horizontal wells. The three firms — Continental Resources Inc., Chesapeake Energy Corp. and Devon Energy Corp. — said restoring the state’s 7 percent production tax on horizontal wells would reduce future returns and cause them to shift their drilling to other states. They’ve been singing a slightly different tune in their reports to investors and presentations to Wall Street. In documents filed with the Securities and Exchange Commission and in discussions with security analysts as recently as last week, the firms describe their Oklahoma drilling programs in enthusiastic terms, touting “world-class” plays and “premier” geological formations. “We’re just real excited about what we’re seeing down there,” then-Continental Resources Senior Vice President Richard Muncrief told Wall Street analysts last August, describing the company’s big push to drill more horizontal wells in southern Oklahoma. Muncrief is now president of WPX Energy of Tulsa. Their SEC filings recite dozens of specific risks that could reduce future profitability, including potential changes in federal tax law and possible legislative responses to climate change and hydraulic fracturing, or “fracking.” But only one firm, Chesapeake, mentions Oklahoma’s gross production tax as a potential liability. Under a tax break enacted in in 1994 and set to expire in mid-2015, the three companies pay Oklahoma a gross production tax of 1 percent during the first four years of production from horizontal wells. Responding to the companies’ appeals, the Legislature is considering a bill that would set a new permanent tax rate for all wells, horizontal and vertical, at 2 percent during the first three years of production and 7 percent thereafter. In 1994 horizontal drilling was an exotic new technology. 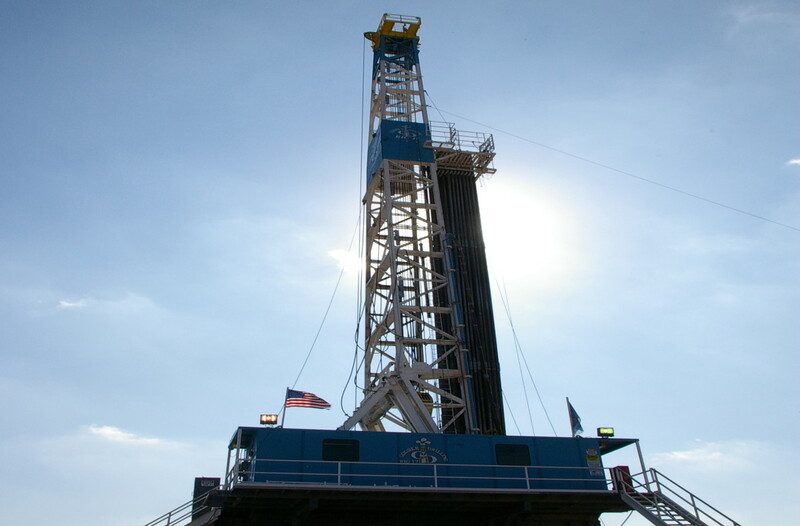 Today it accounts for about 70 percent of all drilling in the state, according to the Oklahoma Corporation Commission. If the tax cut expires as scheduled, the rate of return from new horizontal wells in Oklahoma would be reduced by 6 percentage points for four years. The effect on profitability over the life of the wells would be less because more than half of a typical well’s production occurs during the first four years, when the 1 percent tax is currently in effect; the remainder is already taxed at the 7 percent rate. Some Oklahoma oil energy veterans contend the big three companies are overstating the importance of the gross production tax in their drilling calculations. They include George Kaiser, primary owner of Kaiser-Francis Oil Co. in Tulsa. Kaiser has stated publicly that the gross production tax is a relatively minor factor in companies’ calculations about where to drill, while the tax break deprives the state of revenue needed to fund education and other public services. The George Kaiser Family Foundation is one of Oklahoma Watch’s principal funders, and a foundation consultant is one of five members of the nonprofit publication’s board. Another oil patch dissenter is Stacy Schusterman, CEO of Samson Energy Co. in Tulsa, which was actively engaged in Oklahoma drilling ventures before it sold most of its onshore operations for $7 billion in 2011. It continues to explore in the Gulf Coast. “The change that would result from going from the 1 percent to 7 percent will not deter drilling, despite what they say,” Schusterman said in an interview. Schusterman said the scheduled restoration of Oklahoma’s traditional 7 percent gross production tax would have much less impact on the future profitability of wells drilled in the state than the routine swings of oil and gas prices. “It’s very small compared to what you expect to find in reserves and what you expect prices to be over the life of the well. The price of oil and gas varies more in a week than what we’re talking about here,” she said. Tom Ward, former CEO of SandRidge Energy Inc. of Oklahoma City and current CEO of Tapstone Energy LLC, said he, too, considered the gross production tax to be a small consideration in deciding where to drill. “I have overseen the budgeting process of drilling thousands of wells at two different companies in Oklahoma. In the process of drilling a well, there were many factors that are considered. However, the implication of a state’s gross production tax has never had a material impact on whether to drill or not drill,” Ward said in an email. The CEOs of Continental, Chesapeake and Devon declined to be interviewed for this story. Chad Warmington, president of the Oklahoma Oil & Gas Association, said restoration of the 7 percent rate through the life of the well would cause at least some drilling to shift to other states. The companies’ public disclosures do not include state-by-state breakdowns of well costs and return rates. For that reason, it is difficult to determine exactly how many drilling prospects in Oklahoma would become less attractive than competing ones in other states if the 7 percent rate were restored. But their discussions of specific oil and gas plays suggest that in at least some cases, the rates of return in Oklahoma would remain higher than those elsewhere, even if several percentage points were shaved from the incentive. In last year’s presentation to analysts, for example, Continental executive Muncrief said the company was achieving rates of return ranging from “the high 30s up to 80 percent” on its wells in the South Central Oklahoma Oil Province, which it calls Scoop. Muncrief said projected lifetime returns on the Oklahoma wells compared favorably to those in the Bakken field of North Dakota, where Continental also has a big horizontal drilling program. North Dakota’s gross production tax is 11 percent. Two charts prepared for analysts depict an estimated lifetime return of about 70 percent for Scoop oil wells and about 50 percent for Bakken wells if oil prices remain around $90 a barrel. If the tax break expired and Continental shifted its Oklahoma drilling to other states, it would be curtailing an aggressive expansion effort. In its annual 10-K report to the SEC, Continental said it planned to spend $865 million this year to drill 159 new wells on its Scoop properties in southern Oklahoma. It said it would spend another $19 million to acquire seismic data covering 230 square miles to guide future drilling there. As of Dec. 31, 2013, it had accumulated 354,864 net undeveloped acres in the Scoop region. The SEC filing noted that its leases on 210,301 net acres there would expire within the next three years if it didn’t drill wells on the properties. It described the Scoop province’s geology as “world-class resource shale” featuring an “excellent siliceous and highly fractured reservoir.” The firm said the area contains more than 60 conventional reservoirs and possibly additional unconventional ones. “Scoop is proving to be another significant asset for the company with considerable potential for production and reserve growth,” Continental said. The company’s 133-page account of its 2013 results contains a long list of risk factors that could hamper future results and affect stock prices. The prospect of a higher gross production tax rate in Oklahoma is not one of them. Continental reported revenues of $3.5 billion last year and net income of $764 million. It said it paid $332 million in production taxes, but did not break down the payments by state. Continental declined a request to discuss the information in its SEC filings and analyst presentations. “We will not be available,” Vice President of Public Relations Kristin Miskovsky said in an email. Chesapeake, in materials presented to Wall Street analysts last week, said it expected a 50 percent rate of return on wells drilled during the first quarter in its “premier” Mississippian Lime play in northern Oklahoma. It projected a 44 percent rate of return on wells during the quarter in its Granite Wash play in western Oklahoma. Those projections compared to a first quarter return of 45 percent from its Utica Shale wells in Ohio and Pennsylvania. It cited even higher return rates for two natural gas fields, particularly if “sunk,” or already incurred, costs were excluded from the calculation. The estimates assume the price of oil will average $90 per barrel and natural gas $4 per thousand cubic feet over the life of the well. Chesapeake’s presentation lends some credence, albeit indirectly, to the companies’ assertions that a change in tax rates could affect drilling plans. In a chart accompanying its Mississipian Lime presentation, it said every 10 percent reduction in well costs increased its “drillable inventory” by at least 100 wells. That suggests an increase in Oklahoma’s production tax might have the reverse effect on potential well prospects. Chesapeake said it planned to spend at least $5 billion this year on capital expenditures. About 20 percent of that is devoted to its Mid-Continent programs, most of which in are in Oklahoma. The company said it planned to keep 12 to 14 drilling rigs active in the area this year. Chesapeake was the only one of the three big companies that specifically mentioned Oklahoma’s gross production tax as a concern. Chesapeake reported revenues of $17.5 billion last year and net income of $894 million. It said it paid $229 million in production taxes, but did not break down the payments by state. The company declined to discuss its financial data. Devon’s SEC filings and analyst reports do not contain rate-of-return data. But they describe the company’s Oklahoma drilling programs as offering superior economic characteristics. “The Anadarko Basin has rapidly emerged as one of the most economic shale plays in North America,” Devon said in its 10-K report. It said it planned to drill 95 wells this year in the area, which encompasses parts of Canadian, Blaine, Caddo and Dewey counties. Devon said one of its newer drilling programs is focused on the Mississippian-Woodward trend in northern Oklahoma and southern Kansas, where it planned to drill 230 wells this year. In slides presented to analysts last week, Devon indicated that its cost of finding oil in that area was about $10 a barrel over the life of the wells. That compares to indicated finding costs of about $13 a barrel for its Permian Basin properties in Texas and $20 a barrel for its Eagle Ford properties, also in Texas. Texas charges a gross production tax of 4.6 percent on oil and 7.5 percent on gas. Devon reported revenues of $10.4 billion last year and a net loss of $20 million. It said it paid $265 million in production taxes, or about 3 percent of its oil and gas revenue. It provided no state-by-state breakdown. The company declined a request to discuss its financial data. The Oklahoma Legislature approved a new formula Thursday for taxing oil and gas production, one that will have little immediate impact on state finances but might cause a long-term reduction in revenue collections.